I literally want to make it known to all of you guys that I always go a bit too farther in the pursuance of my dream. 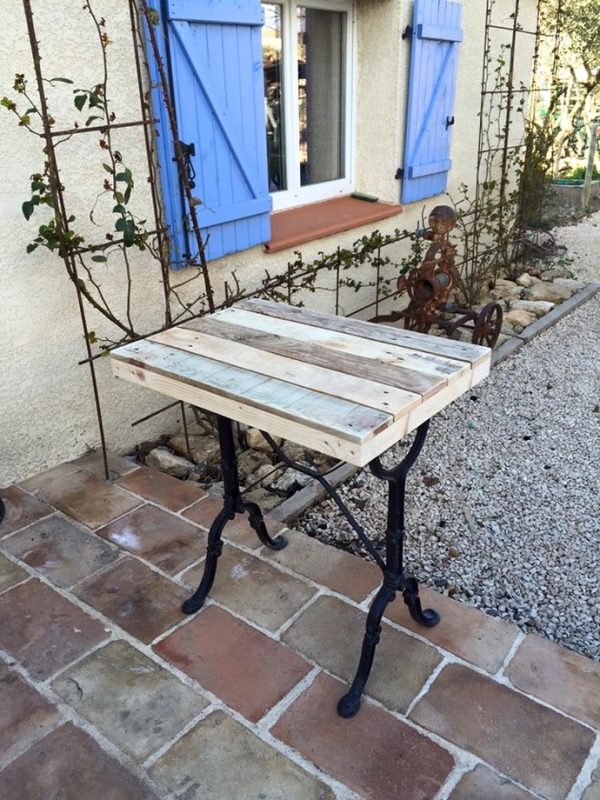 Ever since I witnessed the wood pallet recycling I just wanted to do some craziest things that are simply matchless. That’s why the ideas presented here a bit nutty yet too practical to be pursued. There’s no harm in making such insane experiments. 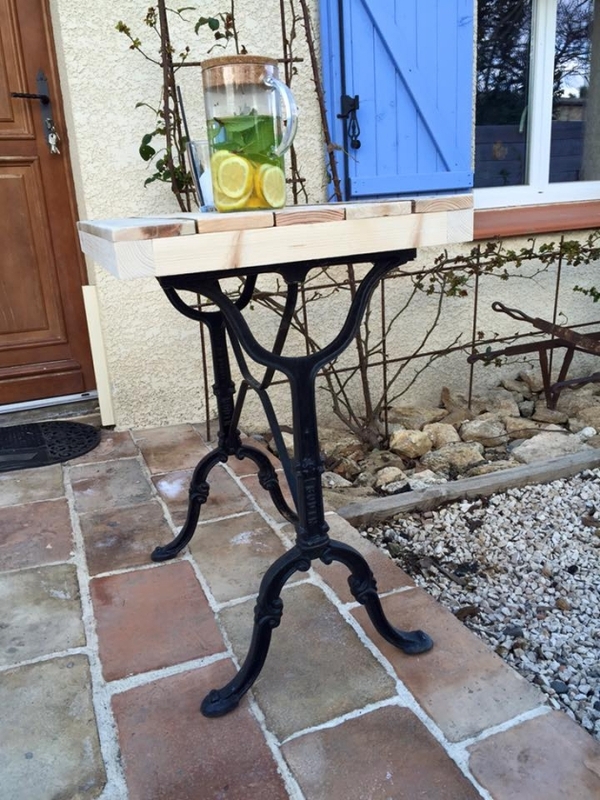 You would realize the essence of my words in this article where I am going to make a table with reclaimed sewing machine base and the top would be repurposed with the wood pallet. I think this certainly would be a new experience for the amateur pallet crafters, but the ones who are well versed in the field, they know it gives a strange pleasure to do sometimes such crazy things in life. And I also thought that I spent a large amount on the sewing machine, I just can’t simply discard it. It had got solid base, so immediately I planned to recycle this metallic base in the next reclaimed pallet wood table. 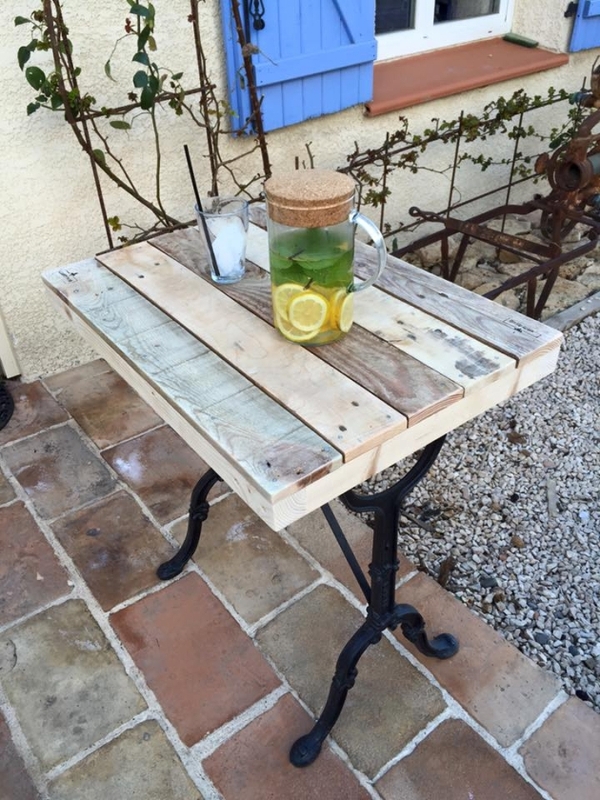 It would be a new invention in the line of pallet wood recycling. Whenever it comes to durability and firmness, simply nothing can match the iron or some other metals. 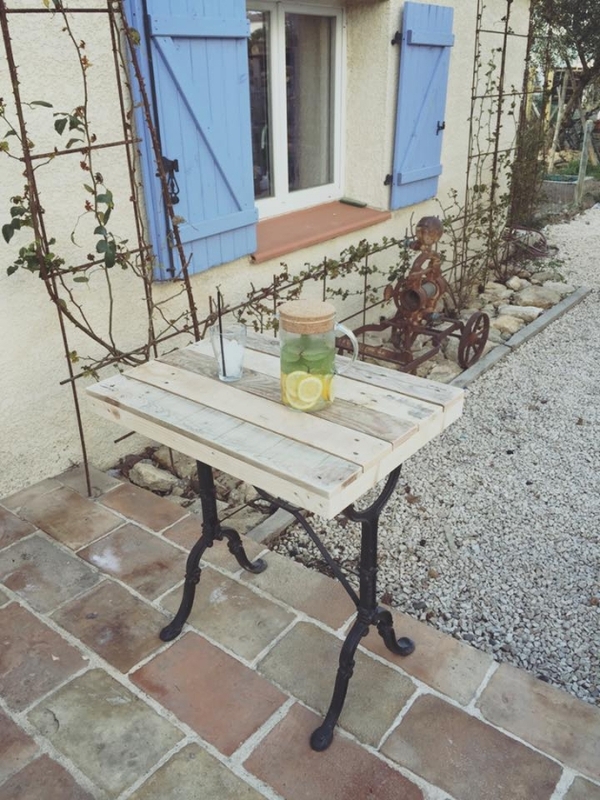 So if you are planning to make a table for outdoor usage, and you want to use it during your recycling stuff, this would be a perfect option because its solid reclaimed metallic base would give it maximum strength to carry any heavier weights. And making the wooden top on this would be even simpler. You can use some metallic brackets inside the frame to fix the wooden top on the reclaimed metallic base. Now I feel like I have made the best possible use of money I spent on sewing machine.